Not knowing when the Self Assessment is due isn’t deemed a reasonable justification for not submitting to HMRC on time. Yet there were many who either were late filing it, did so at the last minute, or still haven’t submitted their Self Assessment. Unless they have what is classed as a legitimate late tax return excuse, they will receive a penalty. In this blog, we give a round-up of the UK tax deadline 2019, including those who submitted early, late, and at the eleventh hour, along with the late filing penalties and appeals. Only just over half of taxpayers truly filed their tax return in a timely manner. Statistics released at the beginning of 2019 revealed that 52% submitted before the end of 2018. This shot up to an all-time record of 93% by the 31st January deadline. In fact, 6% of the population filed on this day. HMRC’s peak time for submissions was between 4pm and 5pm, whereas the most popular hour for those using GoSimpleTax’s software was between 8pm and 9pm. Of the 6% that filed on 31st January, some were incredibly last minute. 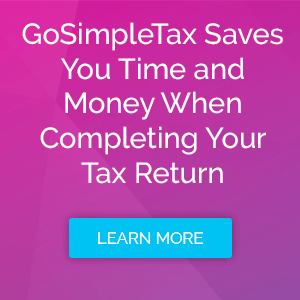 GoSimpleTax figures showed that 8% who filed via our tools were during the last hour. Thankfully only two GoSimpleTax submissions were actually made at the last minute – one at 23:59:59. Close call! Whilst we always recommend being punctual with your Self Assessment, as tax software can file a return in less than an hour, we see why some do try their luck! Online submission was a very popular method this year – with 93.5% of all total Self Assessments filed in this way. 731,186 of the total 11,564,363 returns due simply weren’t given in. Perhaps those not using our tools didn’t employ tax return software at all, and so were slowed down and ended up missing the deadline. Or maybe they had an acceptable reason – not any of the most unbelievable tax return excuses 2019. If none of the late submitters had a justifiable explanation for doing so, then they will have already received a £100 fine – that’s a total of £73,118,600 to HMRC! What happens if you lodge your tax return late? The £100 fine for a late submission isn’t the only penalty to be aware of if you haven’t met the Self Assessment deadline 2019. If you defer it for more than a further three months, then you will receive an extra penalty of £10 per day that you don’t file (for up to 90 days). And once this time passes, you’ll have to pay a penalty of 5% of the tax owed, or £300 – whichever is greater. Then for those who still haven’t submitted a year on from the tax return due date, this same fine will be applied again. In addition, you’ll be charged interest on the amount of tax due. Therefore, keep this in mind when considering delaying your Self Assessment. It will also pay to know the upcoming changes in the late payment penalty system. The best way to avoid penalties is to get your tax return in as soon as possible. This is made easier by employing Self Assessment software like GoSimpleTax. Instead of waiting until January, you can input your information throughout the year. And there’s barely any effort involved – it works out the calculations for you. With tax-saving recommendations provided, you’ll not only minimise penalties, but reduce your tax liability too. To benefit, take a free 14-day trial today.